Happy bloggerversary! Two years ago today I started this blog under the impression that it would be like a public journal. The first year was fun, but this past year was amazing! I never in a million years thought so many wonderful people would be stopping by on a daily basis! I also never thought I would be on the computer so much. lol This past year brought so many new viewers, CBN, IFabbo, 3 TV appearances, and a lot of amazing giveaways including a Rebecca Minkoff bag ($295 value)! I Can't wait to see what this year has in store! I LOVE blogging and I am so happy that you guys seem to like it too! As long as you guys keep coming back, I will keep writing! Thank you from the bottom of my heart to all my loyal readers. You guys are the best!!! 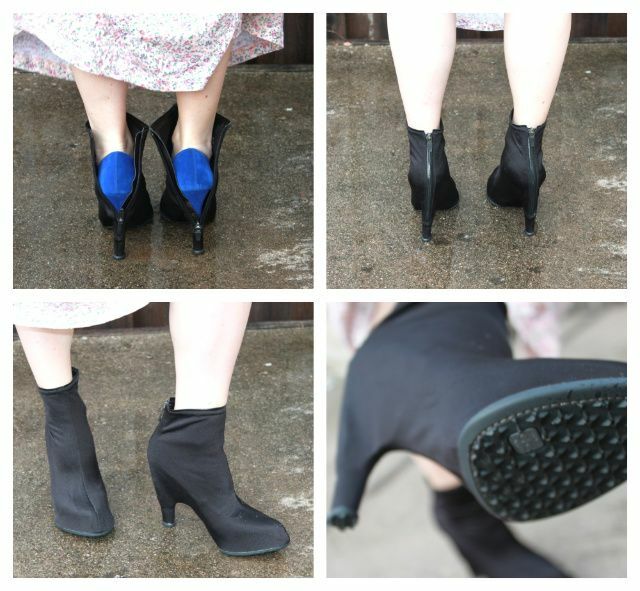 To celebrate I am happy to announce 1 lucky winner will receive The Stylish ShoeCover by Grace Carter ($88 value)! How amazing are these!? As a girl from the midwest I must say I don't know how I ever survived a winter with out them! ;) They fit snug and kept my blue suede shoes clean and dry as promised. Plus they have great traction on the bottoms so they are super easy to walk in. I will be wearing my ShoeCovers LOTS this winter. I can't think of anything better then a product that's soul purpose is to keep your shoes clean, dry, and lasting longer!! They come in different styles too (flats, heels, point toe, round toe, etc. ), to match perfectly with whichever shoe you plan to wear. What's not to love about these? I think we all need a pair or two for the winter months for sure. To enter, check out their selection at Nordstroms and comment below with the style you would most like to win along with your email address. Winner will be announced 1-24-12 at 7:00am. To enter, you must be at least 18 years of age and a U.S. citizen or permanent legal resident (green card). Grace Carter Design LLC employees and their immediate family members are not eligible. Immediate family includes only spouses, parents and children. By entering the contest, entrants agree to have their name on the Grace Carter Design LLC website and social media outlets, and used by Grace Carter Design LLC for any purpose, at any time, without any fee or other form of compensation. Grace Carter Design LLC reserves the right to disqualify and delete any user entries, without notice, and for any reason. Grace Carter Design LLC will select one winner at random. The winner will be notified by email within one week of the winner announcement date, using the email address provided on the entry form. No financial compensation will be provided to winners. Happy 2 Years Lisa!!! Love you and your blog!!!! Xo! Happy Anniversary! I love that High Round Shoe Cover! What an awesome product! I would most want to win the Flat Covers. But I totally want all three! :) Happy 2 years of blogging, Lisa! 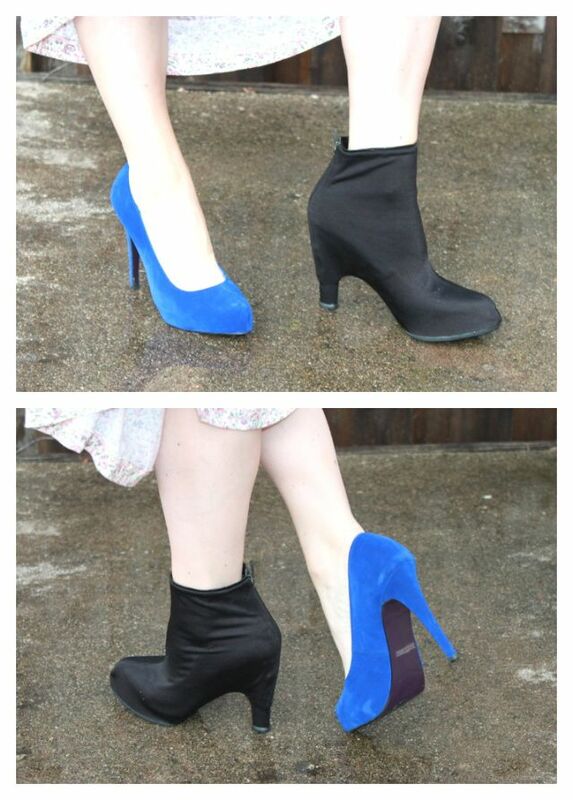 I want the tall round shoe covers. These are perfect, what an amazing idea! You have such a great blog..relatable tips and style:) I am so glad to have found you!!! Best of luck in the year ahead...I KNOW it will bring amazing things!!!! * feel you on not thinking you would ever b on the computer this much, lol. What a cool and chic concept. Great for the cities who have rough weather and road conditions. By the way I added your blog to 'My Fellow Fashionista Mommy Bloggers' blog roll on my site.